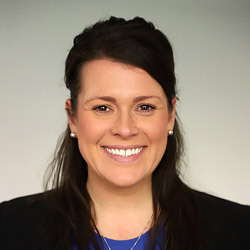 Alison Fleming is an associate in the Philadelphia office of Fowler Hirtzel McNulty & Spaulding. She concentrates her practice in the defense of construction injury and defect cases, commercial vehicle matters, and general liability cases. Ms. Fleming has significant experience in managing civil litigation cases. She manages files from pleadings through written discovery and depositions, and then through pre-trial and trial. Prior to joining FHMS, Ms. Fleming worked for another regional defense firm, handling a broad range of cases. She also served as an assistant district attorney in Philadelphia from 2014 to 2017. She was a member of the trial division and prosecuted major trials, primarily dealing with sexual assault and domestic violence cases. Ms. Fleming is a 2013 graduate of the Widener University School of Law. While in law school, she was an intern at the Philadelphia District Attorney’s Office and a law clerk for the Honorable Jeffrey Minehart, Court of Common Pleas, in Philadelphia. She served on the Executive Board of the Moot Court Honor Society, where she participated in interscholastic competitions. She currently volunteers as a coach for that organization. Ms. Fleming also received the Thomas S. Lodge Memorial Scholarship for commitment to public service and the Pro Bono Service Award. Ms. Fleming is admitted to practice in Pennsylvania and New Jersey.